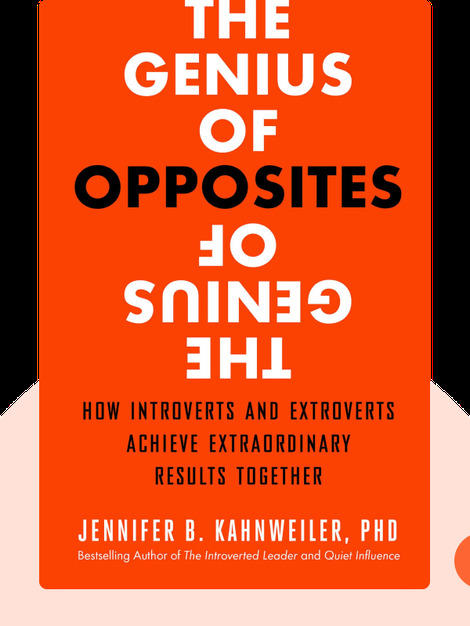 The Genius of Opposites (2015) sheds light on the potential for partnerships between seemingly incompatible personality types: extroverts and introverts. These blinks lay out five basic steps that can turn the most unlikely business partnerships into the most successful. 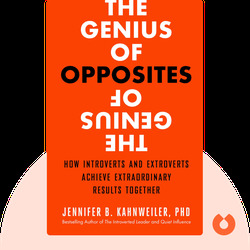 Jennifer B. Kahnweiler, a learning and development professional, is an expert on introverts. She has advised organizations such as General Electric and NASA. Kahnweiler has a Ph.D. in counseling and organizational development and is a Certified Speaking Professional (CSP). The Genius of Opposites is her third bestselling book.